Accountancy Insurance was established in 2003, specialising in Audit Shield – a comprehensive tax audit insurance product which covers the professional fees incurred as a result of an official audit, enquiry, investigation or review instigated by Inland Revenue (IR) or other New Zealand government authority. New Zealand operations of Accountancy Insurance were established in 2011 with the Auckland based office. Accountancy Insurance was established in 2003 in Australia. The organisation was known as Accountancy Insurance Brokers (AIB). The New Zealand based operations of Accountancy Insurance commenced in 2011. The ultimate objective for Accountancy Insurance was to work exclusively with public practice accounting corporations, and to ensure tax audit insurance ‘worked’ for them. At present Accountancy Insurance partners with more than 2300 accounting firms throughout New Zealand and Australia in providing Audit Shield. Covers the professional fees normally charged to the client when accounting firms assist them to respond to eligible official enquiries, reviews investigations or audits, of lodged returns. Avoids disputes with the clients regarding fees incurred as a result of audit, and possible fee write offs as a result. Fees are paid promptly direct to accounting firms. A proactive, cost effective solution for the clients. 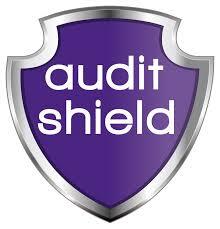 Audits of previously lodged returns are also covered, including if those accounting firms did not lodge or prepare. ​No cost to accounting firms to offer the service to the clients. ​Indicates to the clients that accounting firms are proactive and are looking out for them. ​Accountancy Insurance has been developed with reputable New Zealand professional associations.